The Best Digital Marketing Tools on the Market Today - Reviewed! When I sat down to write this article I had a singular goal in mind: make a single comprehensive list of the best marketing tools on the web. The price. We all have a budget to stick to and pricing structure is at the top of the list. A breakdown of personal experience. None of the analysis in this list is from the companies themselves. Instead, it's based on my own experience using them. And, if I hadn't used a tool I loved, I used social media to speak to people who had. So, without further ado, let's get rolling. These tools will be broken up first by category, and then by budget within each section. Use the Table of Contents below this introduction as well as the "Back to Top" button on the left side of the screen to navigate. If you see any prices which are no longer accurate, please leave a note in the comment section below and we'll update it! Social media networks remain one of the leading platforms for your business to grow, find prospective customers, and drive traffic. The problem, of course, is that it's time-consuming. It takes hours to find content, create awesome Posts, publish them and then analyze the results and optimize to increase engagement and your ability to drive traffic and awareness. That's where social media management tools come in. 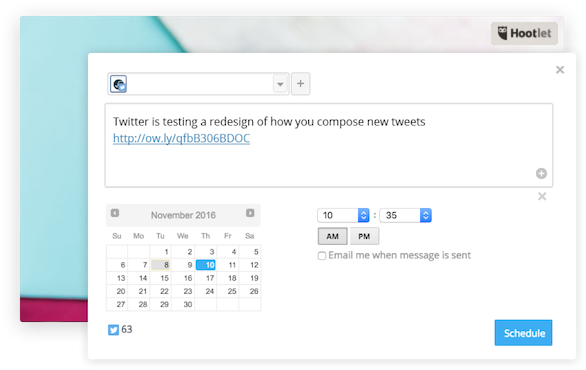 Buffer is actually the social media management tool that I use on a daily basis to schedule my Twitter posts. Its interface is super simple and their platform connection is easy. And the power they deliver increases exponentially as you move to a paid plan (with analytics, more scheduling, easy re-posting, etc). 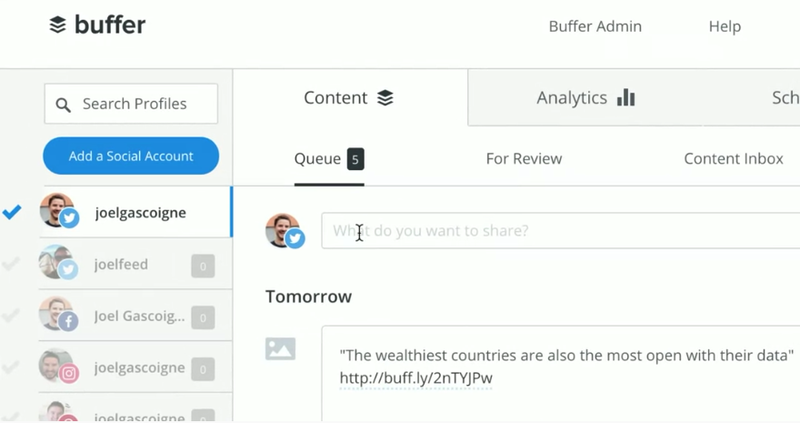 Buffer starts free – a plan which gives you 3 social media accounts and 10 scheduled posts per day. For $15/month you'll get 8 social accounts and 100 scheduled posts. PostPlanner is another super simple tool. The difference between them and Buffer is that they put more energy into the content curation side – helping your business find great content to post alongside scheduling that content. This can be super helpful for a small business owner or marketer who's slammed for time. 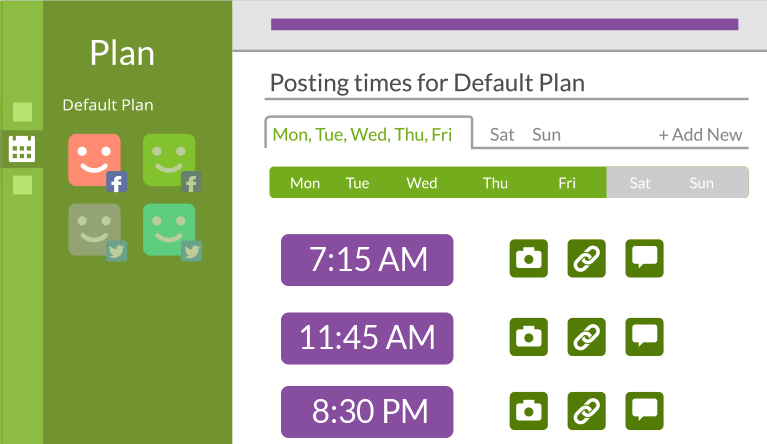 PostPlanner starts at $3/month – a plan which gives you 3 social media accounts and 30 scheduled posts. For $9/month you'll get 10 social accounts and 100 scheduled posts. The reason that I recommend Hootsuite for enterprise social media management is because I know their account management team is fantastic, dedicated to their client's success, and super hands-on. Hootsuite's business plans start at $99/month, giving you 20 social profiles, unlimited scheduling and 3 users, allowing your whole team to contribute to your social media marketing strategy. Social Media Marketing Platforms: Which one’s right for your business? One of the most essential elements of digital marketing is showing up when someone searches on Google. SEO, though (search engine optimization) is one of the most complex and technical strategies in all of digital marketing. So finding the right tool to help you out is crucial. Not only are these tools the standard (and often the source of, other platform's data), the available tutorials are super helpful if you're just starting out with analytics. 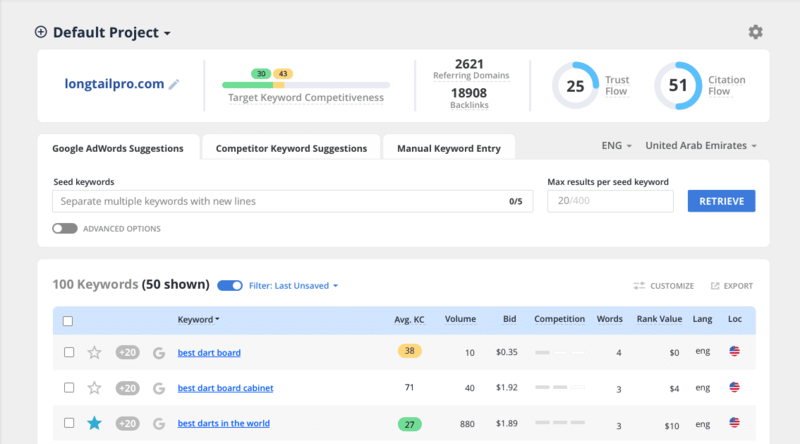 See exactly which keywords you're ranking for, where, and what opportunities there are for your business to get seen more by your target market. Both Search Console and Google Analytics are free. LongTail Pro will do a lot of what the enterprise platforms will, but it's not as pretty, and you have to put in a bit more work to understand what you're seeing and how you can find the value. The other (more expensive) platforms do a better job of delivering your data to you in a bundle you can understand and get value from. But that doesn't mean that LongTail can't show you what you need to know. LongTail Pro's pricing starts at $297/year ($24.75/month) with a 7-day free trial. Moz is the #1 name in SEO not simply because its founder (Rand Fishkin) is one of the most respected experts in the field, but also because the platform itself takes one of the most complicated parts of digital marketing and collates the data into an understandable format. Moz's business plan starts at $159/month ($127 paid yearly) and enables you to track and crawl 10 individual campaigns, 750 keyword rankings and 500,000 pages/week. It enables you to research 5,000 keywords/month. 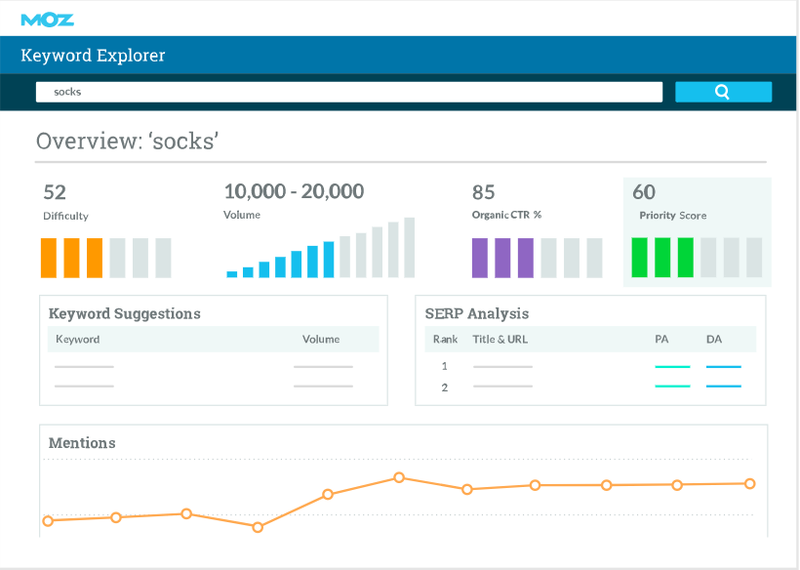 SEMRush stands out in one particular way: it enables you to research your competitor's data more completely than any other tool. That said, it does have a pretty steep learning curve. So hire someone who knows it already. SEMRush's business plan starts at $199.95/month, and enables you to track and crawl 50 projects, 1,500 keywords and 300,00 pages/month. It enables you to research 30,000 keyword results per report, and 5,000 reports per day. As soon as you have a bit of traffic to your site, you need to be optimizing it for your desired conversion. Think about it... If you have 100 visitors and a website conversion rate of 5%, you'll get five customers. If you increase that conversion rate by 20%, you'll have six. Six is better than five, and it came from the same amount of effort at the top of your funnel - the same ad budget, same contnet marketing effort, same brand awareness. 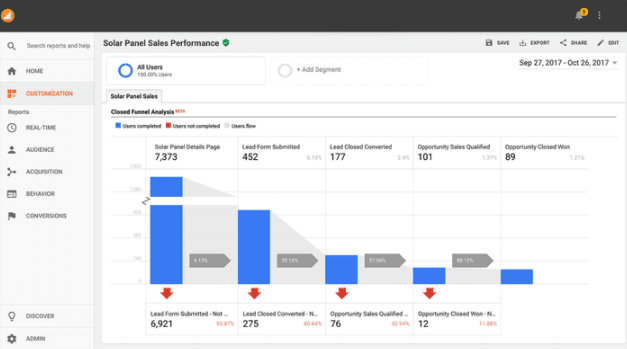 Google Optimize is the best place for your business to start with CRO. It's likely you already use Google Analytics, so you're halfway to setting up the tool. And, as with every Google tool, their tutorials are fantastic. Google Optimize is free. Their pro plan offers a few more multivariate options, custom conversion objectives and implementation coaching/services, but (honestly) there's little reason for most SMBs to go that route. VWO is the platform that we're currently using. It enables us to do about 90% of what Optimizely does for significantly less money. We're lucky enough to have a great junior developer who helps us build our A/B tests, and VWO makes that work for us without getting in the way. VWO is the platform for businesses who have grown beyond Google Optimize's limitations but aren't ready to pay the money for Optimizely. VWO's plans start at $299/month (billed annually), and come with a 30-day free trial. Hotjar offers website heatmaps, scrollmaps, click maps and more, alongside visitor recordings and website funnel mapping. It's a super valuable tool for businesses of all sizes (not just small businesses), and, having used both Inspectlet and Crazyegg over the years, is my preferred visitor-tracking software. Hotjar starts free for 2,000 pageviews per day and moves to $29/month (billed annually) for 10,000 pageviews/day, and $79/month for 20,000. 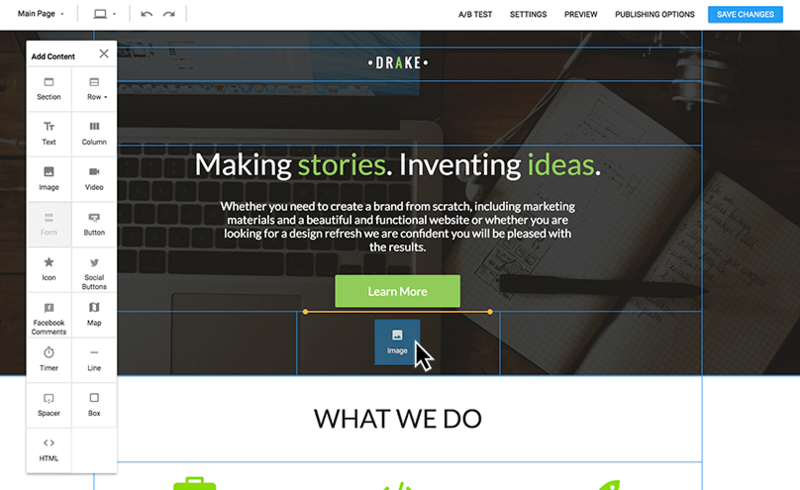 Optimizely is the platform we used for our A/B tests for about 5 years. The flexibility of their tool makes it perfect for enterprise businesses, as (inevitably) you have more complicated needs than most early-stage businesses. 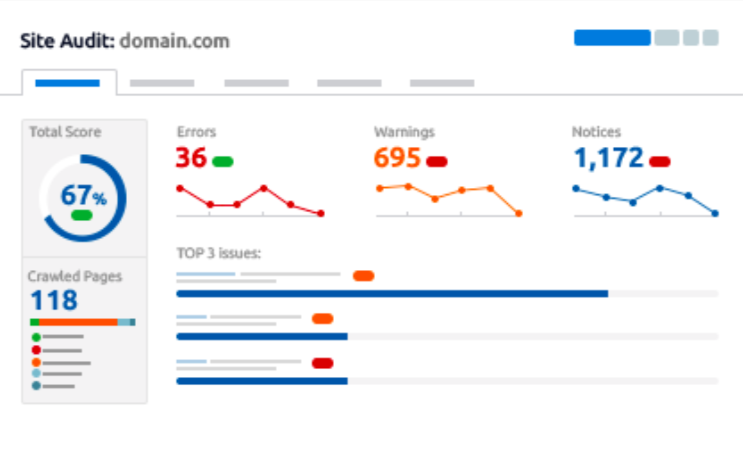 Your tests are more complicated, delivered to more visitors, and you need a tool which will enable you to whatever you need to do without restriction. Optimizely is that tool. Optimizely's plans are exclusively "contact us for pricing," so I can't tell you exactly what you'll have to pay. However, we were looking at almost $50,000 per year when we moved platforms – a number we couldn't justify. That said, for many enterprise-level businesses it's easy to see profits in the hundreds of thousands resulting from a good A/B test. My recommendation would be to "contact them for pricing..."
A big part of running a successful online business is being able to turn visitors into sales. For many businesses, that's not a direct connection. For many businesses, lead status is a crucial step in the buying process. But how do you turn visitors into leads? The answer, of course, is with landing pages popups and contests which encourage visitors to provide their email address in return for a valuable "something" (VIP demo, ebook, newsletter, free trial, etc). So your business needs to be adding these lead generation-focused pages to your website. Here are the tools I can recommend to do exactly that. My recommendation, if you're just starting out, is to head over to the plugin (or add-on, or app, or whatever) marketplace for your business' website builder and search "free lead generation" or "popup tools." There's a lot of great free providers out there, though many of them are (very simply) an iframe which, when slotted into your website, will send you an email when you have a new contact. Wishpond is (and this isn't just because I work for them), my recommended lead gen tool. I've used many of them over the years, and Wishpond is unique in its completeness. It the only platform that offers every type of lead generation tool you can possibly need: landing pages, popups, forms, 10 types of contests & giveaways, welcome mats, scrolling header/footer bars, slide-in CTAs and more. 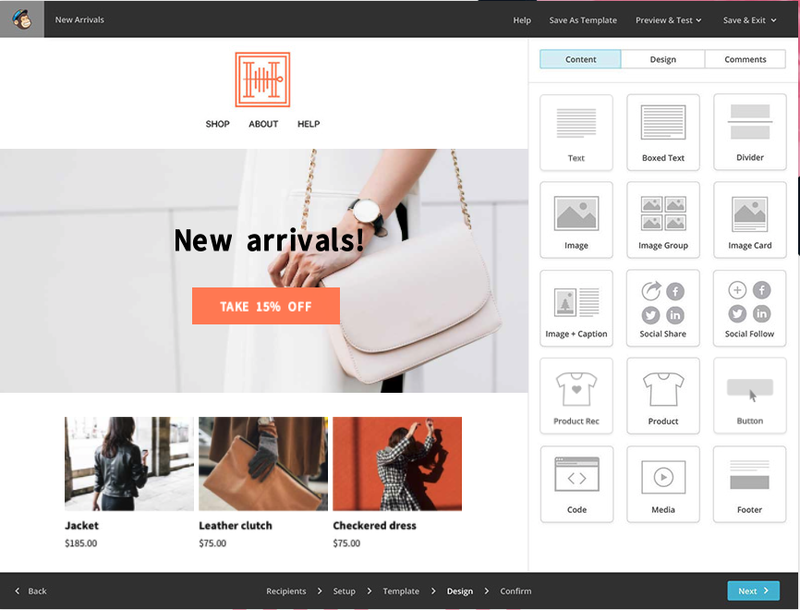 All Wishpond's lead gen templates are based on the same easy-to-use builder, don't require coding, are automatically mobile-responsive, and are built by professional graphic designers and UX experts. We're super proud of our lead gen tools, and I can't recommend them enough. Interested in learning more about Wishpond's lead generation tools? Sign up for a Wishpond account totally free (no credit card required) and check them out at your own pace! Be sure to let us know if you have any questions! One of the most essential elements of a successful digital marketing strategy is to talk to your partners and prospective customers, no matter where they are in the world. Without this ability, you lose the opportunity to drive international customers, and might as well be a brick-and-mortar. The whole point of digital marketing is that there are no restrictions. This section will cover the best webinar and presentation tools which allow you to drive leads and sales all over the world. The fact is that, during my research for this post, I found that there are very few (if any) "budget" webinar software providers. By in large, everybody's prices are approximately the same as GoToWebinar's and ReadyTalk's. However, these are the two platforms that I've used most frequently, and found to be the safest and most secure. There's nothing worse than having your webinar or presentation cut off halfway through. These two platforms do a great job of providing fail-safes to ensure that doesn't happen. GoToWebinar's plans starts at $104/month (paid annually) for 100 attendees or participants. For 500 attendees, you're looking at $239/month, and $539 for 2,000 attendees. All three plans offer analytics, email automation, integrations and whitelabeling. ReadyTalk's plans starts at $119/month (paid annually) for 1500 attendees or participants. For 500 attendees, you're looking at $319/month, and $399 for 3,000 attendees. All three plans include analytics, recordings, Q&A and a webinar-specific administrator. My recommendation is to check out Join.Me. It's what we use, and our sales team loves it. Marketing automation enables you to set up an entire campaign, from traffic source to sale, automatically. Finding a good tool is one of the most essential and time-saving things you can do as a modern-day marketer. Set up and run Facebook ads to marketers within the fitness industry. Drive traffic to a campaign-specific landing page which prompts visitors to download a guide to fitness marketing. Automatically send new contacts (leads) who submit their contact information on the landing page to our email marketing tool. Trigger a series of simple emails to be automatically sent to the new contact over the course of a week, prompting them to get on a call with a marketing expert. If any of the emails are replied to, the drip campaign is automatically stopped, and a profile is created within Pipedrive (our CRM). 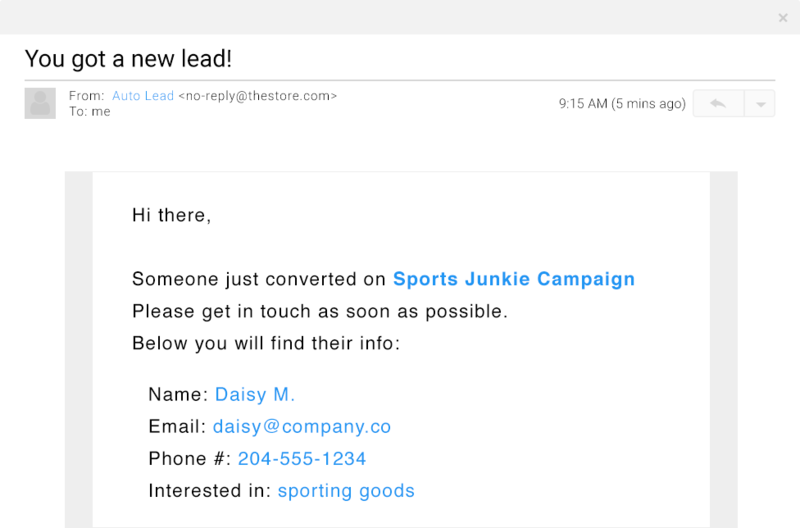 An email is automatically sent to someone on our sales team with a link to the new lead and they coordinate the sales call manually with the lead. All of this, once we set it up, functions without our involvement. It delivers qualified leads, nurtures them, and then sends them to our sales team without any effort from our marketing team. Wishpond offers mid-range marketing automation including email drip campaigns, over 100 integrations (with sales platforms, email marketing tools and more), lead tracking and more. 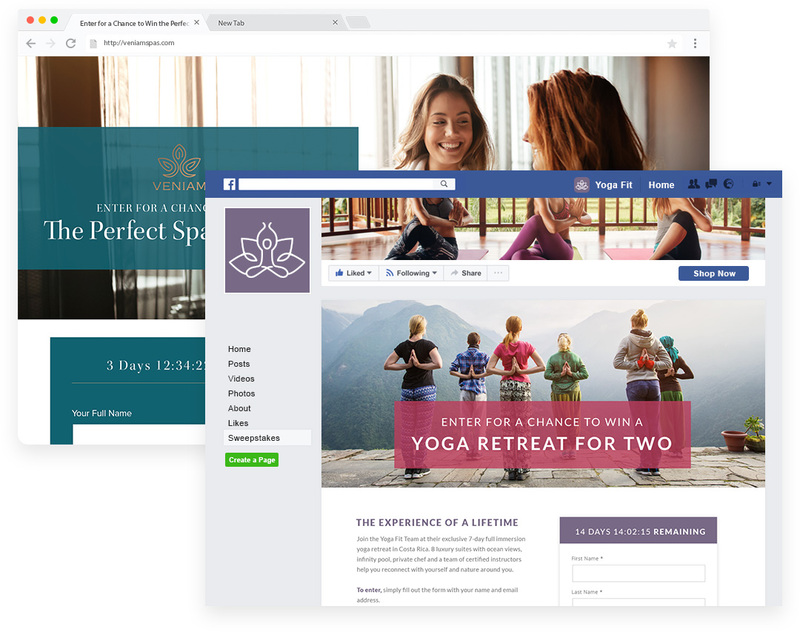 Coupled with their powerful landing page and contest tool (built to turn website and social media visitors into leads), it's a powerful tool for early-stage businesses and SMB's alike. Wishpond's automation pricing starts at $49/month (billed annually) or $75/month, billed monthly. If you want to import more than 1,000 leads (or think you'll generate more than that), pricing is $99 for 2,500 leads and $199/month for 10,000 leads. Check out Wishpond's fully managed plans where you'll get a professional team of ad managers, designers and optimizers to strategize with you, set it all up and manage it from beginning to end. Hubspot is a seriously comprehensive tool, offering email marketing and automation, content management and SEO, integrations, lead gen tools and more. The only challenge is the steep learning curve and price point. Hubspot's pricing (for marketing automation) starts at $800/month, billed annually. For 10,000 leads you'd be looking at $1,250/month. There's also a mandatory $3,000 onboarding cost. There are a thousand tools which I could classify as for "content marketing," but that's not going to help you. Insead, this section will break down a select few digital marketing tools which I use and love to use — those tools which help your team save time and money with content. If you're looking for a more complete list of content marketing tools, check out my seriously comprehensive resource "199 Social Media and Content Marketing Tools." Scoop.it delivers a quality "newsfeed" of content which is relevant to your business, allows you to share and schedule it on the social media platform of your choice, and (at the paid level) gives you great analytics of your content - even recommending content based on what's worked for you before. Scoop.it starts free and offers both curation and a single social platform integration, but no analytics. Their paid plans (which start at $14.99/month, paid annually), give you unlimited curation pages and 5 social platform integrations alongside complete analytics. 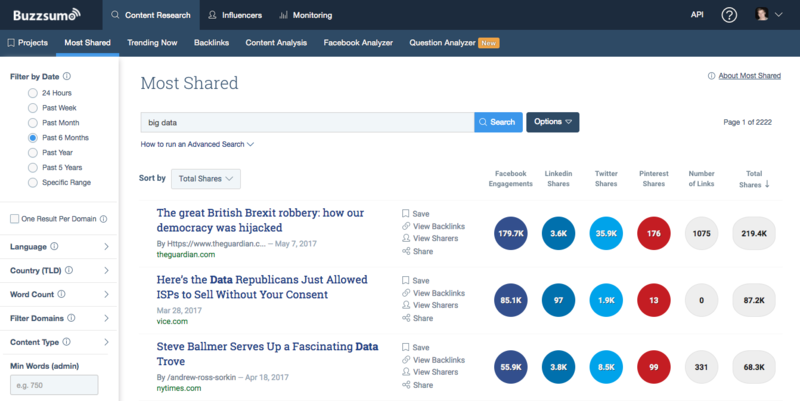 BuzzSumo enables your business to research keywords, identify the content working best for your competitors (in terms of shares and backlinks), who's shared that content, and set up "alerts" whenever someone mentions your business, content or keywords. The platform is a crucial content marketing tool for us, as it informs the content we create, helps us determine how competitive a keyword will be, and enables us to reach out to the right people when doing influencer marketing. BuzzSumo's pricing plans start at $79/month (billed annually). This gives you unlimited searches, 5 keyword alerts and 5,000 "mentions." Curata is like Scoop.it on crack. 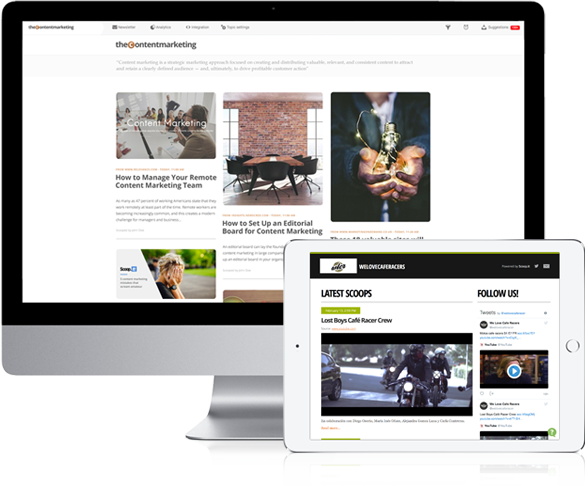 Complete content curation and social media integrations, alongside content attribution (from both content and channel) and a great, built-in editorial calendar, make it the premier content marketing tool for any medium to large team. It's a bit difficult to get complete pricing from Curata, as they ask every prospective customer to sign up for a demo before getting specific pricing. As far as I can tell from a bit of research, their prices are between $250 and $1000/month, depending on your team size. There is no point in having a single one of these tools, or spending even a single hour on digital marketing, if you don't have an analytics tool to prove that your time is worth spending. No matter if you're a small business that's just getting out of your parent's garage, or an enterprise business with a 100-person team and high-rise office, money matters, and wasting it is the fastest way to bankruptcy. This section will give you my recommended tools to track the success of your marketing efforts as well as the paths and behavior of your website visitors and customers. Who are we kidding, you're probably already using Google Analytics, and there's a reason. It's the easiest tool to do about 75% of what you need an analytics tool to do. And it's free. Their tutorials are fantastic and (once you get over the steep learning curve) you'll be flying around the platform in no time. Sure, their data is a bit delayed, and I don't always trust their Session vs Users numbers, but it's pretty damn good for a free tool. And, even if you don't use it for analytics itself, a lot of other analytics tools use its API as the basis for their reporting, so having the GA pixel on your website is important. Google Analytics is free. There are paid elements, if you want, but they're largely unnecessary. Woopra is the funnel analytics tool we've been using for the past 4 years. It's extremely powerful and (once you get used to it) easy to navigate and build reports and funnels with. More than just the reporting, though, is Woopra's impressive integrations and profile reporting. Woopra tells us the exact path of each of our visitors, leads and customers - each touchpoint, pageview and conversion. And, through its integration with Stripe and other payment tools, we can see the exact dollar value of each of our traffic sources, plans, campaigns, and everything else. Woopra's pricing starts free for up to 30,000 actions per month, and then moves to $79.95 per month for 400,000 actions. Or (paid annually) $799.50, a savings of $159.90. Mixpanel does an awesome job of segmenting our their product based on your industry (Financial, SaaS, Consumer, and Media & Entertainment). They focus on delivering whatever is needed for your business, rather than whatever they have. They also have an A/B testing component, which I haven't tried but would love to get your feedback on if you've tested it out! Mixpanel starts free, giving you 5 projects, limited reports and a 60-day history for your data. They move, very quickly, to $999/year (or $150/month) for 12-month data history, unlimited projects and unlimited reports. 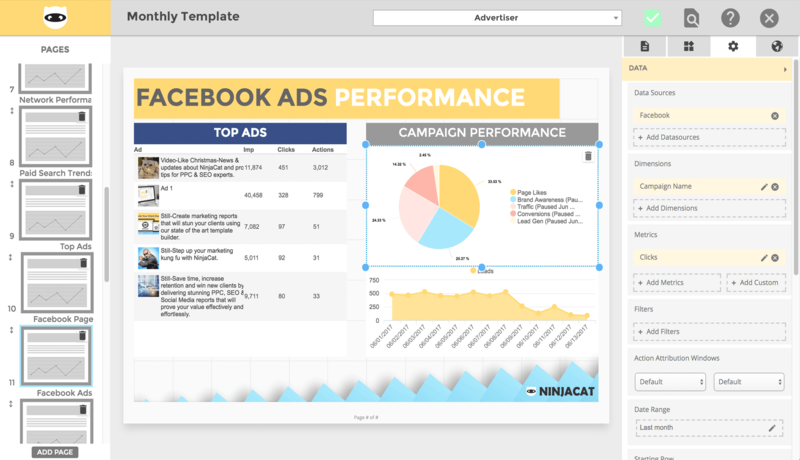 Ninjacat is built for large businesses and is focused on tracking PPC campaigns, SEO and sales calls; and its specificity is its strength. They focus on great reporting (as one of their primary target markets is agencies) — giving your large business a clear picture of what's working and what's not on a weekly or monthly basis. And all without you having a huge amount of work to do in the back end. Their focus is on delivering understandable results to large businesses, rather than (like Woopra above) relying on the user to create their reports. Both Facebook Ads and Google Adwords built-in platforms are (honestly) fantastic - Facebook especially. Both Facebook and Google make about 90% of their yearly revenue (we're talking billions of dollars here) from ad spend. 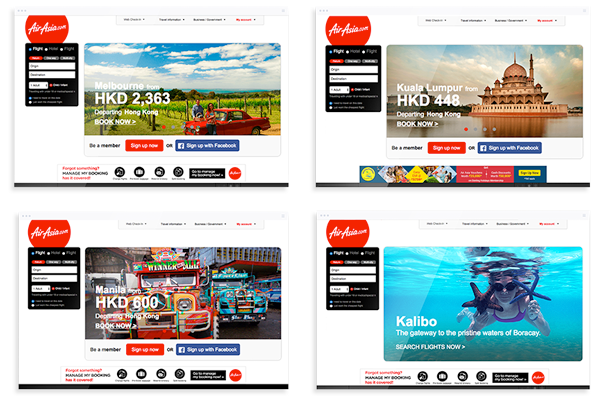 So they want to make advertising as simple and intuitive as it possibly can be. If anything, they're focused on making complicated to find success on their platforms without advertising. No, seriously. Ever worked on SEO or driving Facebook engagement organically? It's incredibly complicated and usually delivers underwhelming results. But creating a Google Ad to show up at the top of search results, or a Facebook Ad to show on your target market's newsfeed? It's extremely straightforward. Check out my free guide: "The Complete Guide to Facebook Ads." I cover everything from objectives and budgeting to advanced strategies for optimizing your ads. Adespresso is the platform that we use to manage all our client's ad campaigns. 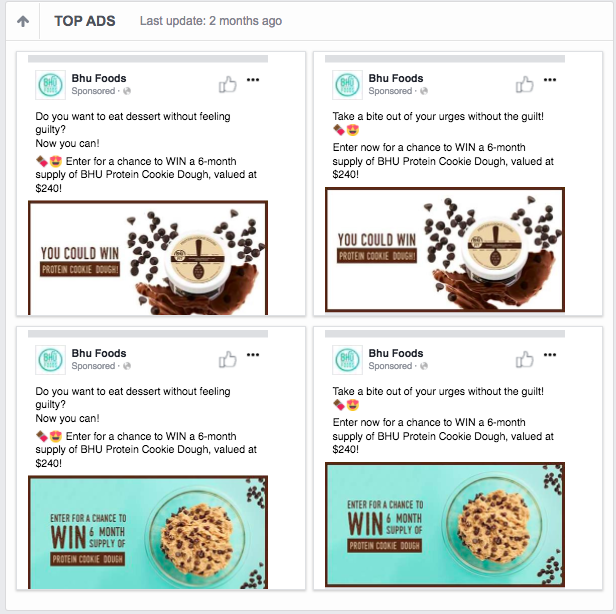 It's intuitive and makes it easy for us to launch (and test) dozens of different variables across dozens of different ads within each campaign. It's that – the ability to create multiple ad iterations to test multiple variables at the same time – which separates an ad management platform for the free platforms. Adespresso starts at $49/month if your ad spend is up to $3,000/month. All plans have unlimited ad creation and unlimited tests. If you've done your job right, the next step will always be email. Whether you've generated a lead or a customer, the follow-up is email — encouraging the final conversion or the next one — it's all about the right emails sent at the right time. Easy importing and exporting: You need to confidently be able to bring in your existing contacts and, hopefully, move them to your customer relationship management software down the line. Segmentation: I won't bore you with the stats here, but it's been proven a couple hundred times that sending emails which are specific to your recipients (rather than generic) perform better. Find an email marketing tool which can segment your contacts based on activity, demographic information, and anything else you can think of. Mobile and Cross-Browser Optimization: WIth more and more recipients opening your emails on their phones or different browsers, you need a tool which gives you emails which work and look great wherever they're opened. Who are we kidding, there's really only one answer here. Mailchimp has been at the top of the small business email world for years now, and few tools have come close to pushing them off it. They have an intuitive and easy-to-use tool and, even more importantly, are built for small businesses. Though they have an enterprise tool, the mass majority of their users are early-stage. So they cater to that audience and put serious effort into making sure you can get set up with email marketing easily. Mailchimp's "Forever Free" plan allows your small business to have up to 2,000 subscribers and send 12,000 emails per month, as well as basic email automation campaigns. If you want unlimited mailouts, pricing starts at $20/month and moves up from there. Segment your contacts into Lists more comprehensively based on their website and campaign activity, demographic details, lead scoring and more. 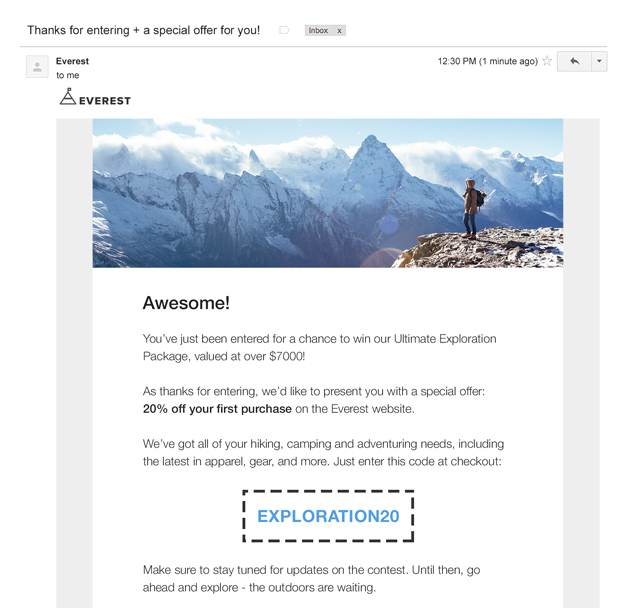 More than a dozen email templates built for your business' use-case specifically. Email A/B testing, so you can see what subject lines, from names and content increases open and click-through rates most effectively. Automatic lead management from your existing lead generation campaigns. 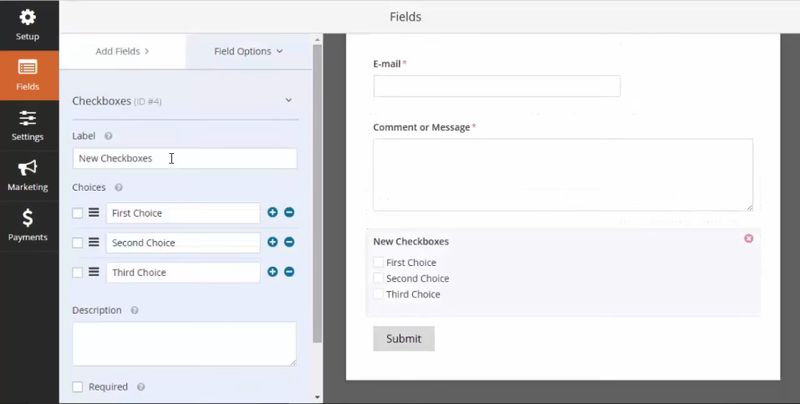 Marketing automation integrations, allowing you to schedule email campaigns to be sent automatically when a lead meets your conditions. We use Wishpond to send out 200,000+ recipient newsletters, onboard all our new users, nurture our inbound leads into sales, and much more. It's got a great foundation and an easy-to-use dashboard. Wishpond is on the low end of enterprise pricing for email marketing. The whole tool (which includes lead generation tools like landing pages, popups and contests, marketing automation and email marketing) starts at $49/month for 1,000 contacts. For 25,000 contacts you're looking at $343/month. All plans include integrations with the major CRMs, unlimited landing pages, contests and popups, and unlimited users. I hope you found something here you can take to the bank. I can personally recommend all of these tools - either because I've used them or because I trust the people who have. And if you have any questions about any of them, don't hesitate to reach out in the comment section!